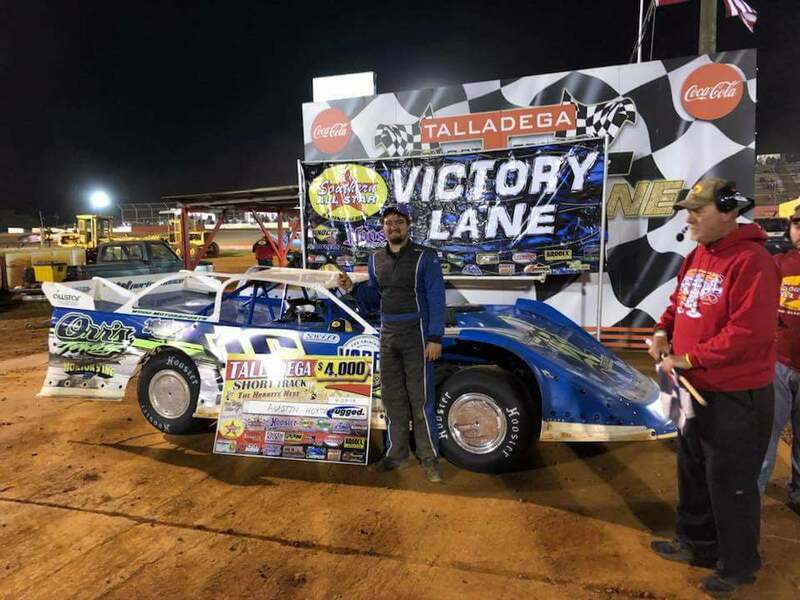 EASTABOGA, AL–The Southern All Star Dirt Racing Series presented by Max Fab made its annual spring NASCAR race weekend stop at the Talladega Short Track and the 2017 Southern All Stars Dirt Racing Series Champion Austin Horton of Newnan, GA., finally got his first career series win. In 2017 Austin competed on the series full time and had numerous top five finishes but could never get that top spot, but his finishes got him the series championship last year. In 2018 he made his first race back with the series count as he held off challenges from three time Southern All Star Champion Ronnie Johnson and Michael Page to get the win. The top three worked lapped traffic as they battled for the top spot and gave the huge crowd on had a great race as Johnson made several attempts to get by Horton but had to back off, but Johnson could not rest at Page was right there with them and was looking for either driver to make a mistake and give him the chance he would need to try and get the win. Jason of Oxford, AL., came home in the third spot driving the Jason Lively car and fifth place belonged to Cory Hedgecock of Loudon, TN., in his first start with the series this year. Finishing in position sixth through tenth were Riley Hickman of Ooltewah, TN., Jadon Frame of Decherd, TN., Terry Smith of Oxford, AL., Grant Pearl of Southside, AL., and Donald McIntosh of Blairsville, GA.
RACE TIDBITS: Jay Scott of Fayetteville, TN., continues to lead the series standings as he, Mark Dodson of Caledonia, MS., and Ray McElhiney of Pulaski, TN., were the only drivers in the top seven in series points to make the show. 2015 Southern All Star Rookie of the Year Dillon Tidmore had to drop before qualifying as oil pump problems ended his night early. A big thanks to all the fans, drivers crews for the great turn out of cars for the NASCAR Weekend events and look forward to the Southern All Stars next trip to Talladega Short Track which will be August 11th for the Governor’s Cup paying $10,000 to win and it will also be the 100th sanctioned event that has been held at Talladega Short Track over the 35 year history of the series. 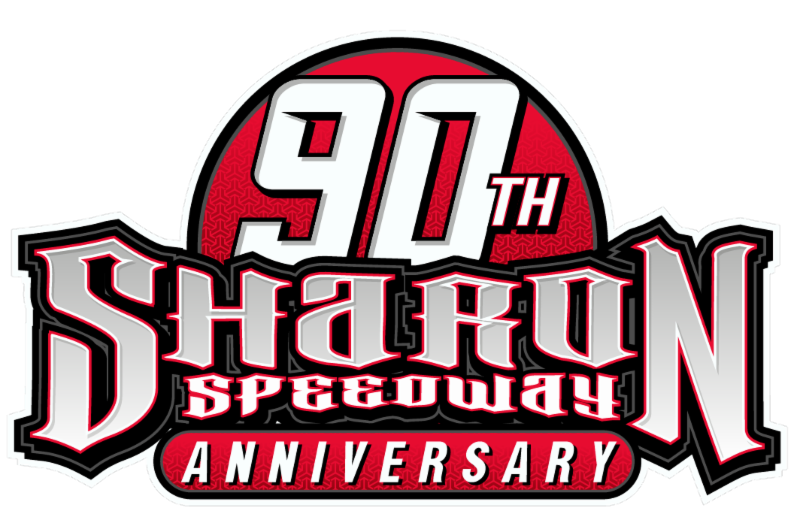 The next Southern All Star Dirt Racing Series event will be the first stop of the season at the Senoia Raceway in Senoia, GA., the Mayhem on Saturday night May 19th paying $4,000 to win..
2018 CRUISE WITH THE CHAMPIONS/DIRTONDIRT.COM ROOKIE OF THE YEAR: 1.Jay Scott 314; 2.Mark Dodson 282; 3.Ray McElhaney 272; 4. Joseph Faulkner 160; 5.Pearson Lee Williams 78. 2018 AR Bodies Challenge: 1.Brad Skinner 110; Joseph Faulkner 86; 3.Eric Hickerson 67; 4.Dalton Polston 41; 5.Bret Holmes 39; 5.David Brannon 24. Source: . :Official Internet Home of Southern All Star Dirt Car Series:.